Just apply, massage and towel dry. 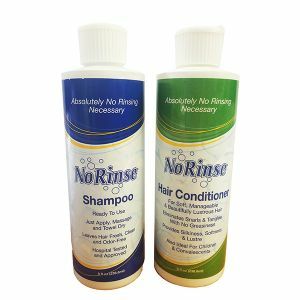 Shampoo leaves hair fresh and clean and conditioner eliminates tangles without greasiness. No need to rinse - no water required. Purchase separately. 236ml bottles.